Winemaker: Best Job in the World? 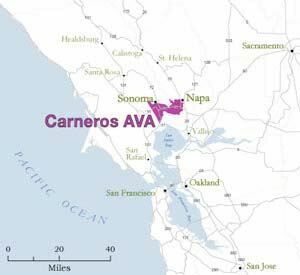 In 1979, when Carneros attempted to become an American Viticultural Appellation, there were only two wineries (Acacia and Carneros Creek) and less than 1,000 acres of vines. It was Anthony Bell, an assistant winemaker at Beaulieu Vineyard, and Anne Moller-Racke, the viticulturist from Buena Vista, who helped submit the application that defined the Carneros region. The boundaries of the proposed 37,000-acre appellation were unique in that they encompassed the southern ends of both Sonoma and Napa Counties. Approval came in 1983, making Carneros the first established AVA based on climate rather than political boundaries. Carneros is classified as a Region I heat-summation climate, viticultural conditions ideally suited to Pinot Noir and Chardonnay. In 1985, the growers and wineries of Carneros founded the Carneros Quality Alliance to promote the region. The Alliance began 2006 with a new name, The Carneros Wine Alliance (www.carneros.com), with the goal of enhancing the well-deserved branding and image of the Carneros appellation. 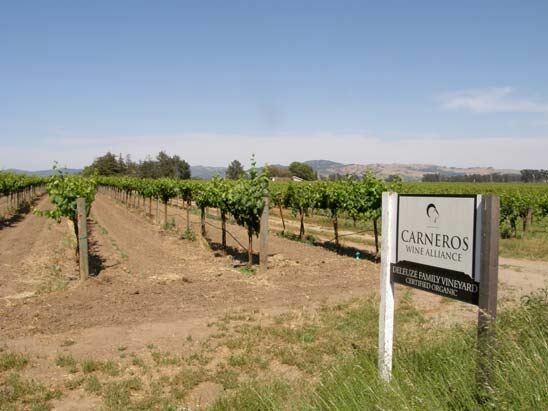 Historically, Carneros was a favored land for raising sheep (Carneros or Los Carneros in Spanish means “sheep” or “ram”) and cattle, as well as farming grain and hay, pears, plums, apples, cherries, apricots and wine grapes. In the late 1800s, the region sent a steady flow of fruit, milk and cattle to San Francisco by way of railroad stations such as Schellville and Buchili Station and docks such as Cuttings Wharf and Bentley Wharf along the Napa River and Sonoma Creek. Plantings of vineyards are said to date to the late 1830s, making Carneros the second oldest vineyard region in Northern California. By the early 1870s, William H. Winter of Indiana, had one of the largest vineyard holdings in the area and built the first winery in Carneros, Winter Winery. In 1881, Winter sold the Winter Winery to James Simonton, who along with Missouri viticulturist George Husmann, was the first to research phylloxera resistant rootstock. The Stanly Ranch, with over 300 acres, was one of the largest Carneros vineyards in the late 1880s. Phylloxera in the late 1870s and 1880s, followed by Prohibition from 1919 to 1933, dealt a death blow to viticulture and the wine industry in Carneros. The first post-Prohibition winery in Carneros was founded by John Garetto at the present site of Bouchaine Vineyards on Buchili Station Road. Much of the Stanly Ranch survived phylloxera because it was planted on Vitis riparia rootstock. Realizing the potential of the Stanly Ranch vineyard, Louis M. Martini bought 200 acres of the Stanly Ranch in 1942, and along with Harold Olmo, conducted extensive clonal experimentation with Pinot Noir and Chardonnay. This research led to the development of UCD Chardonnay clone 108 and UCD Pinot Noir clones 13 and 15. These clones were widely planted in California from the 1970s to the early 1990s. When Carneros Creek Winery was founded in 1972 by Francis Mahoney, there were only about 200 acres of vineyards in Carneros. 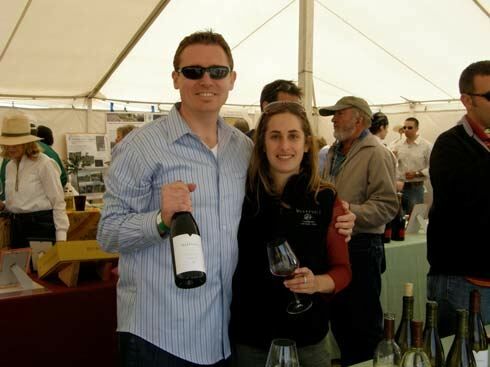 Vineyard development was in its infancy, led by Beaulieu Vineyards, Buena Vista and growers Ira Lee, the Sangiacomo family, and Rene diRosa of Winery Lake Vineyard. 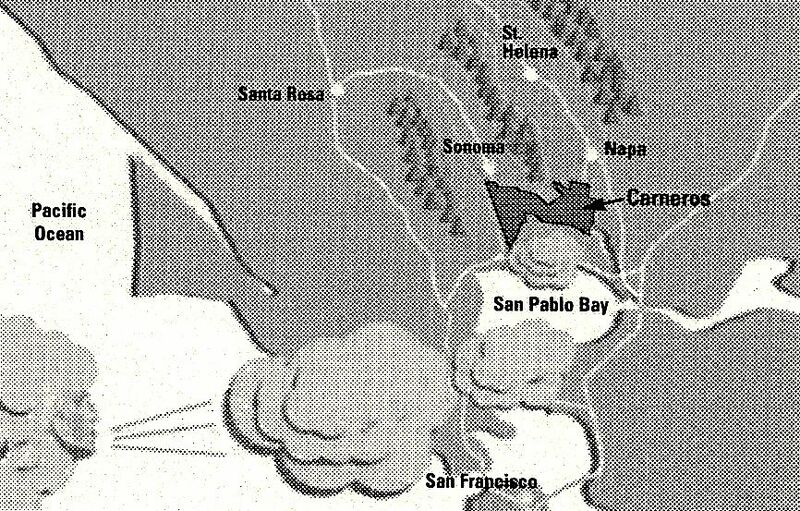 The 1980s were marked by investment in vast acres of Carneros vineyard land by notable Napa-based wineries such as Clos du Val, Clos Pegase, Robert Mondavi, St. Clement, and William Hill. By the 1990s, the region had become a silent supplier for these and other well-known wineries located in the more high-profile Napa and Sonoma appellations. The cool climate region was admired for its Burgundian varietals, Chardonnay and Pinot Noir, and sparkling wines, but Carneros struggled for public identity. 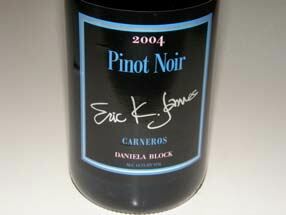 As I noted in Volume 7, issue 12 of the PinotFile (“Carneros Renaissance on Track”), Carneros is now led by corporate owners and small boutique operations that are leaving behind the mass farming of grapes and dedicating themselves to precision viticulture that in turn is leading to distinctive ultra-premium wines from estate-grown fruit. 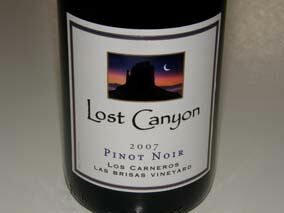 The words “Carneros,” “Estate Grown,” and “Estate Bottled,” now adorn many Pinot Noirs from this region. Carneros Pinot Noir, Chardonnay and sparkling wines can now compete with the best from the more visible and highly touted appellations of California. The most distinguishing climatic feature of Carneros is its strong maritime influence, particularly the incessant breezes. Carneros is an unshielded land with its arms open to the nearby Pacific Ocean and adjacent San Pablo Bay (the northernmost reaches of the San Francisco Bay), resulting in treacherous and unceasing winds that rip through the hollows and hillsides. Rows of eucalyptus trees, planted to combat the gales, are far and few between. As the air over Carneros heats up during the day, it begins to rise, attracting the cool air over the ocean and bay. The resulting breezes continue throughout the afternoon and taper off in the evening as temperatures drop. Fog then rolls in during the night and begins to burn off in the early morning. The summer heat is thus moderated by both wind and fog resulting in a long, moderate growing season. The winds can benefit the vines by reducing the chance of mildew and mold, but also stress them by drawing water out of the leaves faster than it can be replaced by the roots. In the vines battle for survival, yields are very low. Napa Valley is synonymous with Cabernet Sauvignon (or car parts as the Sonomans like to say) and Sonoma County has been identified with Pinot Noir. Truth be known, the Napa portion of Carneros and some mountain vineyards in Napa County have been producing Pinot Noir for many years. In addition, many wineries in Napa Valley own vineyards in, or source grapes from, Napa Carneros. Some of Napa's most visible Cabernet Sauvignon producers are spending small fortunes to play the Pinot Noir game. 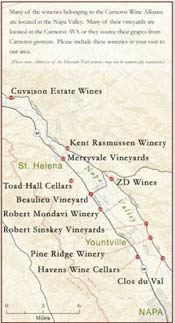 A partial list of Napa Valley wineries producing Pinot Noir includes Anderson's Conn Valley Vineyards, Andretti Winery, Arger-Martucci Vineyards, August Briggs, Barnett Vineyards, Beringer, Cakebread Cellars, Cartlidge & Browne, Caymus Vineyards (Belle Glos), Cliff Lede Vineyards, Clos Pegase, Cosentino, Del Dotto Vineyards, Domaine Chandon, Duckhorn Vineyards (Goldeneye), Dutch Henry Winery, Elizabeth Spencer, Elkhorn Peak, El Molino Winery, Flora Springs, Franciscan Estates, Hagafen Cellars, Joseph Phelps Vineyards (Freestone Vineyards), Judd's Hill, Kent Rasmussen Winery, Kuleto Estate Family Vineyards, Marguerite Ryan, Markham, Mario Perelli-Minetti Winery, Mayacamas Vineyards, Miner Family Vineyards, Merryvale, Monticello, Patz & Hall, Peter Michael Winery, Reynolds Family Winery, Robert Mondavi Winery, Robert Sinskey Vineyards, School House Vineyard, Signorello Vineyards, Sterling, Sutter Home/Trinchero, Toad Hall Cellars, Twomey, V. Sattui Winery, Villa Mt. Eden, Whitehall Lane Winery and ZD Wines. As Napa becomes more “Pinofied,” Sonoma is taking on a more “Napafied” character. Healdsburg now personifies everything that is sophisticated about St. Helena, with high-end restaurants like the Dry Creek Kitchen and Cyrus, luxury hotels like Hotel Healdsburg and Les Mars, and chic boutiques that rival any along Highway 29. Carneros blends the high brow side of Napa (The Carneros Inn and the spectacular Jacuzzi Winery on Highway 121) with the rural charm of Sonoma. An excellent Visitors Guide to Touring and Tasting at the wineries belonging to the Carneros Wine Alliance is available at www.carneros.com. Information about the wineries of Carneros and visiting the region is available at www.carneroswineries.org and www.loscarneroswines.com. 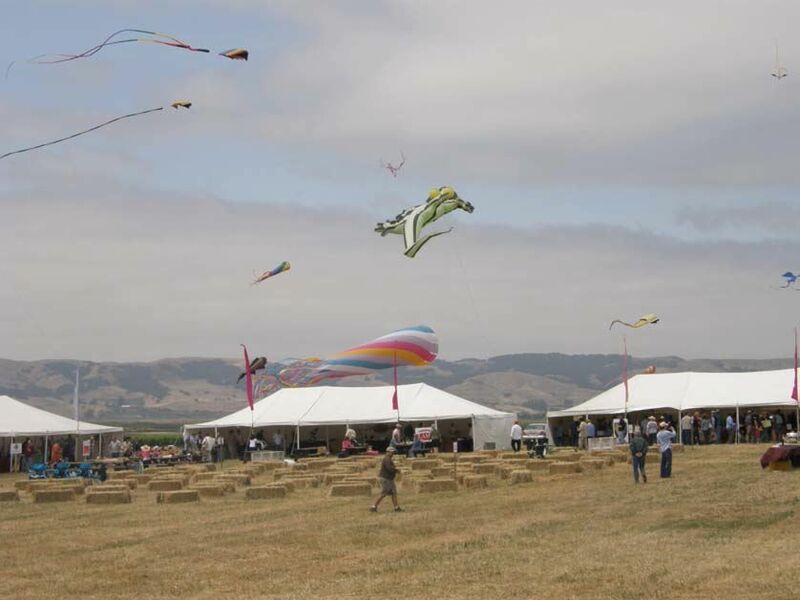 The Carneros Heritage Fest is the region’s annual celebration of its western heritage (the Sonoma Rodeo was held annually in Carneros on the Millerick Ranch from 1929 to 1950), its signature wines, and its bounty of lamb and local artisan foods. I attended the recent Fourth Annual Heritage Fest, billed as “Wines, Vines, Woolies & Wetlands.” Held May 30th, 2009 at The Donum Estate, the event was co-hosted by Buena Vista Carneros in partnership with the Sonoma County Wine Grape Commission, The American Lamb Board, the Napa Farm Bureau, and the California Department of Fish & Game. This is a unique family oriented wine and food festival benefiting the Carneros Land Stewardship Foundation, an organization whose mission is to promote the education, conservation, preservation and restoration of the land, ecological habitat, creek beds and wetlands in the Carneros region. I eagerly sampled the Pinot Noirs from the 25 producers present and found some new discoveries. The two Pinot Noirs being poured by Merryvale, the 2007 Carneros Pinot Noir (14.8% alc., 2,028 cases, $35) and the 2007 Stanly Ranch Estate Carneros Pinot Noir (14.8% alc., 185 cases, $45) were among the most exciting wines I tasted at the event. Both are crafted in an elegant, feminine style with nuanced flavors. 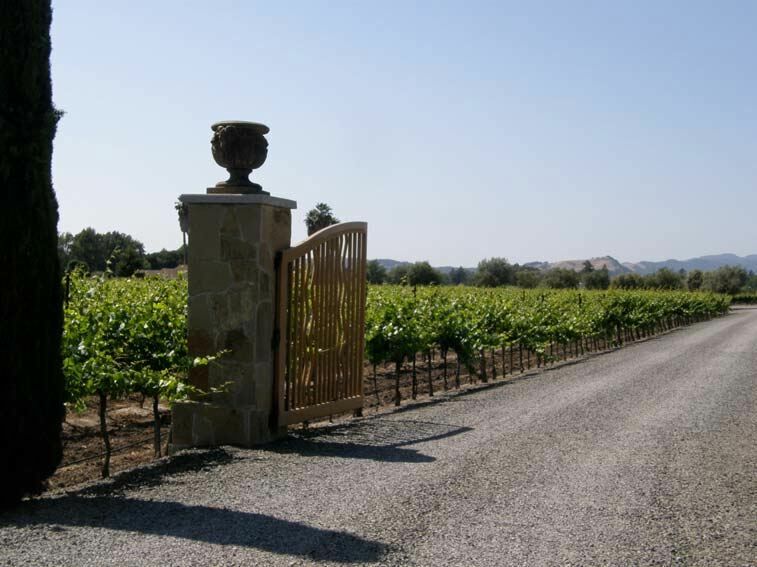 Another favorite was Adastra, a family owned winery with a 20-acre CCOF-certified organic vineyard in Napa Carneros. Owned by Chris Thorpe and son-in-law Edwin Richards, the name Adastra is taken from the Latin saying per aspera ad astra, “through striving to the stars.” Pam Starr has being Adastra’s winemaking consultant since 1997. 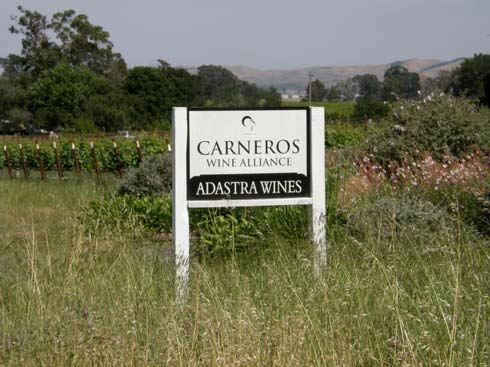 The 2006 Adastra Carneros Pinot Noir (15.2% alc., 194 cases, $40) and the 2006 Adastra Proximus Carneros Pinot Noir (an “ultrareserve” wine, 15.5% alc., 254 cases, $56) were poured. These are full-bodied and hedonistic, very appealing sipping wines which hold their alcohol well. The Proximus ups the ante a few notches (80% new oak) with spectacularly spiced aromas and flavors. 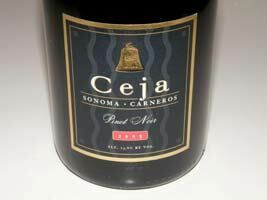 The Ceja Vineyards 2006 Carneros Pinot Noir (13.9% alc., 1,000 cases, $38) was picked at a lower Brix and was crafted in a much more reserved and delicate style that was very charming and food-friendly (see review page 10). 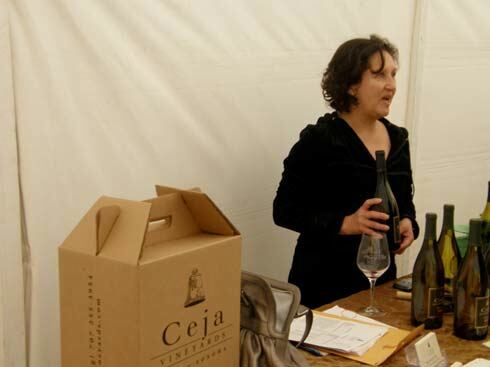 You won’t meet a more charming person than Amelia Ceja, one of the founders of Ceja Vineyards and an accomplished winemaker who was pouring at the event (below). I was thrilled to finally meet two generations of the deLeuze family of ZD Wines, including Robert de Leuze, the CEO and winemaker emeritus. 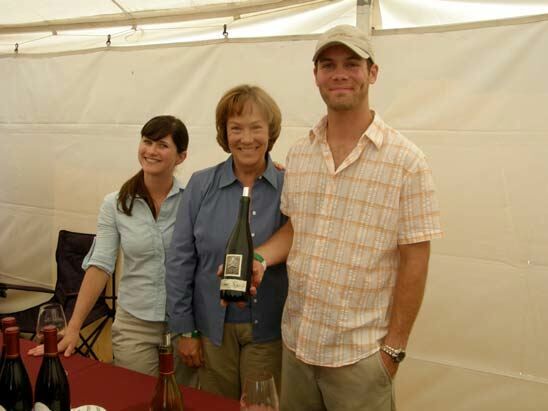 Pictured below are Sheryl deLeuze (Robert’s wife in middle), her son and winemaker Brandon (pictured right) and Brandon’s girlfriend, Katie Winchell . I have been a fan of ZD Pinot Noirs for many years. Pinot Noir has been produced at ZD every year since 1969. ZD’s first Pinot Noir was labeled, “Produced in Sonoma County from Grapes Grown in the Carneros Region of Napa,” making ZD the first winery to recognize Carneros on the label. The inaugural 2007 ZD Norman deLeuze Founder’s Reserve Carneros Pinot Noir (13.9% alc., 750 cases, $65), sourced from the estate certified organic DeLeuze Vineyard in Napa Carneros, was released this year. 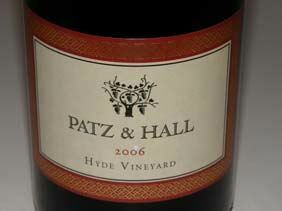 Fruit from this 37-acre vineyard (6 acres of Pinot Noir planted to Hanzell and Swan heritage selections) traditionally went into the ZD Reserve Pinot Noir. 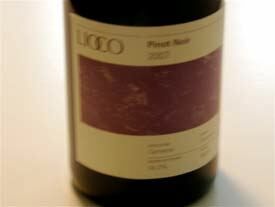 This bottling coincides with the winery’s 40th anniversary, and is a very special Pinot Noir. 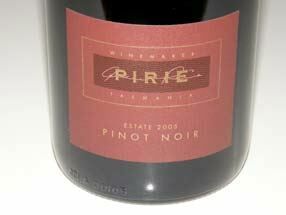 I reviewed the wine very favorably in the PinotFile, Volume 7, Issue 17. 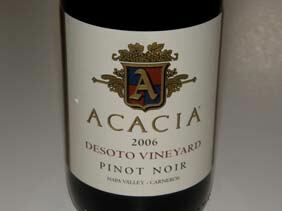 This past week I tasted this wine for the third time in a lineup of top 2007 California Pinot Noirs at a wine dinner. Tasted blind, the ZD Founder’s Reserve was one of the group’s favorite wines. 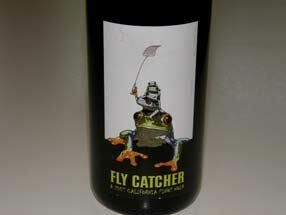 It is available from the winery (www.zdwines.com) with limited retail distribution. Carneros Pinot Noir, with its earthy and wild mushroom underpinnings and bold flavors of raspberries, cherries and spice, has come of age. Styles range from light to gutsy but the consistent finding is full-flavored and long lived wines of great interest. 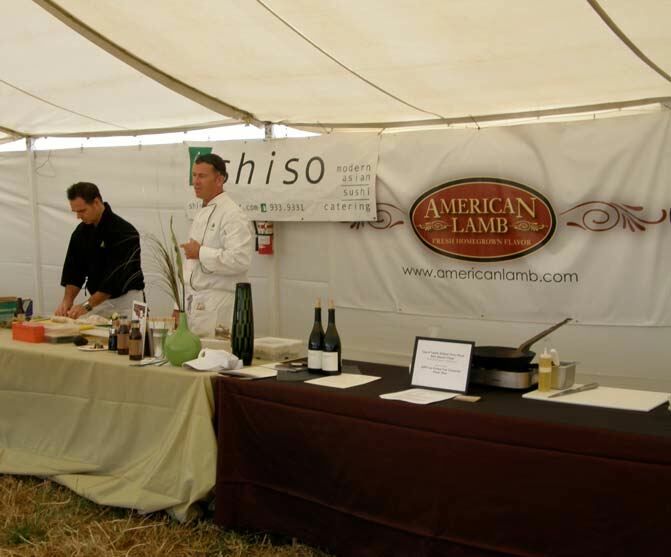 A highlight of the Heritage Fest was the Artisan Lamb BBQ conducted by Brendan Guenther, chef and owner of Rocker Oysterfeller’s Kitchen and Saloon in Valley Ford, and the Sonoma County and Napa County Farm Bureau “Grillers” under the direction of Al Wagner of Clos Du Val. The menu reflected the Carneros heritage of farmers, sheepherders and the Mexican-American community. Menu: Sonoma Lamb Tostados with Mexican White Bean Puree, Red Chile Crusted BBQ Leg of Lamb, Frijoles Charros with Rancho Gordo Heritage Yellow Eye Beans, Carneros Chardonnay-Braised Riverdog Farm Kale and Straus Family Creamery Ice Cream. The Napa versus Sonoma ThrowDown Chef Competition was a gourmand’s delight with eight chefs offering different preparations of lamb supplied by the American Lamb Board, all paired with Carneros wines. The offerings included Lamb Paillard, Crepinette and Marguez Sausage over Sicilian Rice Salad (Taylor Boetticher, chef and partner of Napa’s Fatted Calf) and Pomegranate and Harissa Glazed Leg of Lamb in Housemade Pita with Quinoa Tabbouleh (Angela Tamura, chef at ZuZu in Napa). The hands down winner came from Ryan Pollnow, the chef at La Crema Wine Estate in Sonoma County. He matched La Crema’s 2007 Los Carneros Pinot Noir with Grilled Leg of Lamb with Green Garlic Chimichurri smoked over Pinot Noir barrel staves. Second place was from the brothers and chefs Pablo and Erasto Jacinto of The Border in Napa who cooked an Oaxaca-style Lamb Barbacoa with Pinot Noir and Chardonnay Salsas and Sweet Corn Polenta Tamale paired with 2006 Ceja Carneros Pinot Noir. Sampling the many lamb dishes with Carneros Pinot Noir was an epiphany. Food and wine were the center of attention at the Heritage Fest, but there was so much more: ecology and wildlife exhibits, sheep herding demonstrations with border collies, display of Olde English Babydoll sheep used in vineyards for weed control, falconry demonstrations, wagon rides, kite flying, live music and even a hay maze for children. I have included a few more photos that capture the festive atmosphere. Mark this event on your calendar for next year. The Carneros region is steeped in Mexican history. The last of the twenty-one California missions, Mission San Francisco Solano, was established in Sonoma in 1923. By 1834, the Mexican government planned to secularize all the California missions. Mariano Guadalupe Vallejo, the Military Commander and Director of Colonization of the Northern Frontier arrived with settlers to assume control of the mission and distribute the mission lands. Thousands of acres of land were given freely to those of naturalized Mexican citizenship who promised to develop the land. In truth, the land grants were awarded almost exclusively to Vallejo’s relatives and friends. The Carneros region lies within the original boundaries of four of these land grants: Rincon de los Carneros, Entre Napa, Huichica, and Petaluma. The grants were soon subdivided and sold to farmers who quickly settled Carneros. As American, German, French and Irish settlers came to Carneros in the 1840s, discontent with the Mexican government began to grow. In 1846, American frontier settlers overthrew Vallejo’s forces in the Bear Flag Revolt. California existed as a republic for a month before being incorporated into the United States. Approximately 100 years later, in 1942, when the guest worker program was begun, Mexican immigrants came to the Carneros region, becoming the backbone of the wine industry and providing a majority of the field labor. Many braceros toiled long hours as field hands in the vineyards with limited wages and benefits. Over time the value of these migrant Mexican workers has been recognized, leading to a dedicated effort to provide proper health care and living facilities as well as advancement opportunities. Despite considerable hardship, there were a number of workers who had the skills and passion to succeed in the wine industry and seized the opportunity. The strength of family personifies the foundation of these newer wine producers as is reflected in the Spanish, “De Parte De Mi Familia, Para Su Familia,” or “From My Family, to Your Family.” Many of these success stories personify the American Dream and unfolded in the Carneros region. Reynaldo Robledo, Sr., is a prime example. Robledo came to the United States in 1968 at age 16, accompanied by a few other relatives from the Mexican State of Michoacan. Initially, he lived in a migrant labor camp near Calistoga, working long hours pruning vines for as little as $1.10 per hour. Within eight months, he was in charge of thirty-six workers. After 35 years, he has his own vineyard management company, Robledo Vineyard Management, LLC., with over 30 year-round employees. He became the first Mexican migrant vineyard worker in North American to own a winery, Robledo Family Winery, and to open a tasting room. He owns approximately 200 acres of vineyards and manages 90 acres for other growers in Napa, Sonoma and Lake counties, sells grapes to many noted wineries, farms olive orchards for olive oil, and produces 12,000 case of estate wine. Robledo’s entire family, including nine children, all work in the family business. The winemaker is Reynaldo’s son, Everardo Robledo, who began working in the vineyards alongside his father at an early age. The winery produces multiple varietals including Pinot Noir. 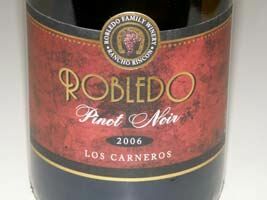 The Robledo Family Winery lineup of wines is sold primarily through the winery’s Wine Club and the website at www.robledofamilywinery.com. The tasting room at 21901 Bonness Road in Sonoma is open by appointment daily (707-939-6903). 14.5% alc., $40. · Complex scents of ripe berries, oak toast, smoke and tobacco. Full-bodied flavors of dark berry fruits with an earthy, forest floor underpinning. Beautifully balanced with fine grained tannins. Still drinking fine the next day from a previously opened, recorked bottle. This wine will complement dark meats. Pablo Ceja gathered up his wife Juanita and their six children and immigrated to the United States in 1967 as part of the bracero work program. They settled initially in St. Helena in the Napa Valley and their family grew to ten children. 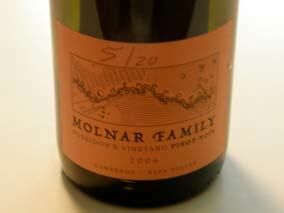 Later they moved to Carneros and on weekends the family worked together in the vineyards. One of the sons, Pedro, went to college and studied engineering, eventually marrying Amelia Morán Fuentes. They had a dream of owning land and growing grapes in the Napa Valley. In 1983, the family pooled its resources and bought 15 acres in Carneros, planting 13 acres with Pinot Noir in 1986. In 1999, Ceja Vineyards was founded by Pedro Ceja and his wife Amelia, and Armando Ceja and his spouse Martha. There are now three generations working in the family business. Armando Ceja is the winemaker, assisted by Amelia, the much-loved public face of Ceja Vineyards. When she says you are invited to visit any time, she really means it. The Ceja vineyards are situated on Las Amigas Road in Napa Carneros (photo below), Arnold Drive and Dale Avenue in Sonoma Carneros, and Adobe Road in Petaluma. The winery’s logo features a bell with the Latin inscription, vinum (wine), cantus (song), and amor (love). The lineup of fine wines includes Pinot Noir, Chardonnay, Cabernet Sauvignon, Syrah, Merlot, Sauvignon Blanc, Vino de Casa Red and Vino de Casa White, and Bella Rosa (a rosé). The wines are sold through a mailing list (www.cejavineyards.com) and Wine Club. A wine tasting salon, lounge and art gallery is open daily 12:00-6:00 at 1248 First Street in Napa. Saturday nights there is a salsa party at the salon. Ariel Ceja has created the internet’s first and only bi cultural online cooking show and social networking site, www.saludnapa.com. 13.8% alc., $38. · Scents of cherries, leaf, oak and spearmint. Melange of red fruits including cranberries with a hint of earth and green veggies. Medium-weighted, delicate in style with a smooth mouth feel and respectable balance. Oozes pinotosity. Roland Herrera arrived in the United States with his family from the Mexican State of Michoacan in 1975 at the tender age of 15. His first job was as a dishwasher at Auberge du Soleil. Later he gained an appreciation of pairing fine wine and food while a line cook at Mustards Grill. At age 17, he was hired to build a stone wall around Warren Winiarski’s home at Stag’s Leap Wine Cellars. Winiarski took him under his wing, encouraged him to get an education, and Herrera worked his way up from cellar rat to cellar master. He furthered his winemaking skills at Chateau Potelle, Vine Cliff and Paul Hobbs. Herrera’s work with native yeast fermentations has been well-recognized and his wines have been served at White House State dinners. 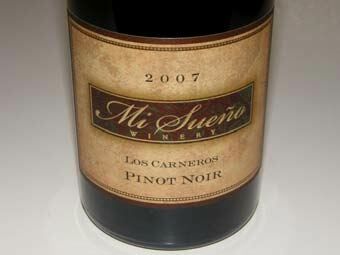 His small winery, Mi Sueño, means “My Dream” in Spanish. Herrara sources grapes from leased vineyards farmed exclusively by Herrera Vineyard Management in Napa Valley, Carneros, Russian River Valley and Sonoma Mountain. He also consults for a number of boutique wineries including Robledo Family Winery, Baldacci Family Vineyards, Longfellow Wine Cellars and Sharp Cellars. Ricardo Herrera, former assistant winemaker of Screaming Eagle and Dominus, is the Director of Vineyard Operations. The winery was consolidated into one facility in 2006, locating in an unassuming industrial park just south of downtown Napa at 910 Enterprise Way, Suite M. The phone is 707-258-6358. Besides Chardonnay, Cabernet Sauvignon and Syrah, Pinot Noirs are produced from both the Russian River Valley and Carneros. A second, limited production line of single vineyard, barrel selected wines is produced under the Herrera label including a Selección Esmeralda Russian River Valley Pinot Noir ($95). 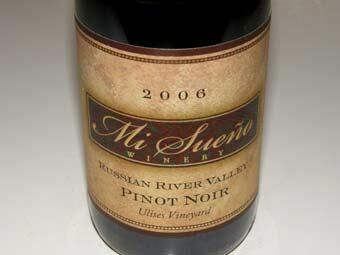 The wines are sold through the website at www.misuenowinery.com and through limited retail distribution. 14.7% alc., $27 (375 ml). Unfined and unfiltered. 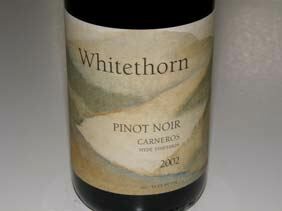 · A very distinctive ripe style of Pinot Noir. Unusual nose of roasted plums, oats, maple syrup and brioche. Rich, ripe and plush slightly roasted flavors of blackberries and raspberries with an undertone of root beer. Substantial intensity with harmonious t n’ a and a lingering finish. 13.7% alc., $37. · The nose is very appealing and picks up intensity in the glass. Dark cherries, herbs and green garden are featured. Delicious and nuanced with flavors of cherries, berries, earth, cola and mocha coming and going. Soft and smooth with admirable persistence on the fruity finish. A classic and classy Pinot Noir. Salvador Renteria grew up in Jalisco, Mexico where he worked as a barber. Along with his older brother, he arrived in Napa Valley from Mexico in 1962 and initially worked as a field laborer. The first year was wet in the Napa Valley, and disenchanted, he returned to Mexico. He returned to the Napa Valley two years later to stay, and quickly became a vineyard supervisor. Renteria oversaw the development of vineyards at Beaulieu Vineyard, Clos Pegase, Cuvaison and Silverado and was highly respected by famed vintners such as Andre Tchelistcheff and Rick Forman. During the decade he worked at Silverado, he helped develop significant vineyards, including Three Palms. Renteria was among the first in Napa Valley to experiment with trellising and canopy management, leading to lower yields and higher quality grapes. He was able to successfully bridge the cultural and communication gaps between wineries and vineyard workers. In 1987, Renteria Vineyard Management was started, becoming one of the first Mexican-owned vineyard management companies in the Napa Valley. The company managed vineyards for Screaming Eagle, Dalle Valle, Domaine Chandon and Trefethen among others. In 1993, Salvador’s son, Oscar, who had started picking grapes at the age of 12, assumed proprietorship of Renteria Vineyard Management. He had graduated from St. Mary’s College and his sister, Marcella, attended Stanford. Renteria Vineyard Management employs 140 people and oversees 1,250 acres in Napa County. 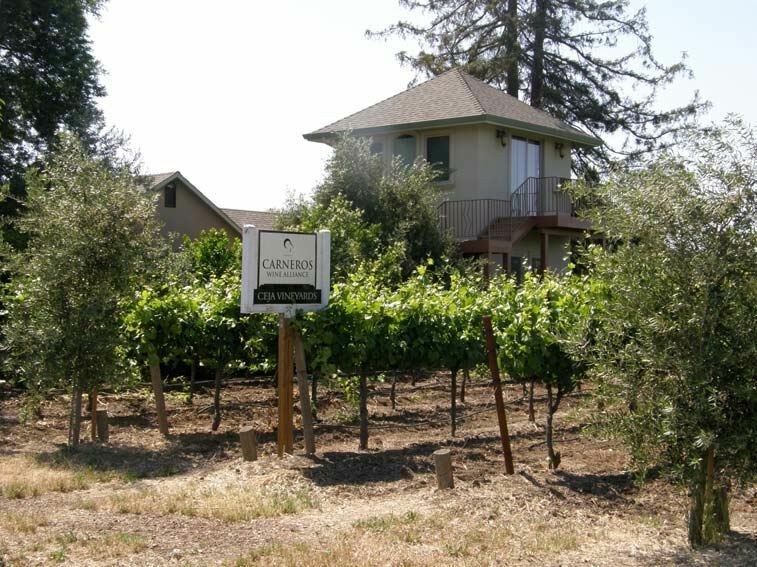 The company grows grapes for clients that include Williams Selyem, Caymus, Rombauer, Duckhorn, Etude and Robert Mondavi Winery. Oscar was driven to make wine, and in 1997, Renteria Wines was launched and today produces 1,800 cases of Cabernet Sauvignon, Merlot, Pinot Noir and Chardonnay. An 8,000 square foot gravity-flow winery and cave is being built on Mt. Veeder. Salvador has retired and lives comfortably in the hills above Silverado Country Club, and although he plays golf regularly, he still walks the vineyards and keeps a steady eye on the company. The winemaker at Renteria is Karen Culler who has a Master’s Degree in Viticulture and Enology from University California Davis. Pinot Noirs are produced from the Knittel Vineyard in Carneros, the Russian River Valley and Sonoma Coast under the Renteria label. A second label, Salva Tierra, honors Virginia Salvatierra, a Costa Rican whose daughter, Denise, married her high school sweetheart, Oscar Renteria. 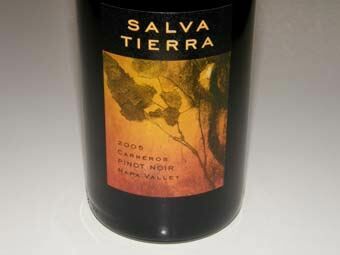 The Renteria and Salva Tierra wines are sold through a mailing list with limited retail distribution. Tasting is available at the Folio Winemakers’ Studio in Napa Carneros at 1285 Dealy Lane (open daily). 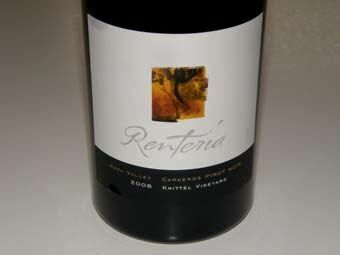 The website is www.renteriawines.com. 13.1% alc., $27. · Moderately light in color. Fruity aromas of cherries and berries with a hint of tobacco that fade over time in the glass. A simple quaff that is light in weight featuring dark red fruits, lively acidity and minimal tannins. I would chill this wine and drink it with simple foods such as roasted chicken. 14.2% alc., 600 cases, $38. · Captivating aromas of black cherries, herbs, oak, cedar and prickly pear. Well-herbed and tasty dark red fruits on an elegant framework of velvety tannins leading to a fragrant finish. A thoroughly enjoyable wine. Michoacan Ulises Valdez crossed the border in 1985 at age 16 and traveled to Sonoma County to join his older brother who was a field laborer in the vineyards. Although he was underage, he lied about his age, and based on his skills, obtained a job pruning vines. Like many migrant workers, he lived in humble conditions and rode a bicycle to the vineyards. He received amnesty in 1986 and achieved citizenship in 1996. Valdez became a partner in the Florence Vineyard Management Company and in 2003 bought Jack Florence Jr.’s stake in the company. It was renamed Valdez & Sons Vineyard Management Inc.. His company manages vineyards for many notable producers including Kent Rosenblum, Jayson Pahlmeyer, Paul Hobbs and Mark Aubert. Valdez now controls 150 acres of vineyard land in Sonoma County and has over 70 employees. His Pinot Noir vineyards include the Ulises Valdez (UV) Vineyard near Sebastopol in the Sonoma Coast appellation, and the Lancel Creek Vineyard in the Russian River Valley. In 2006, he started Valdez Family Wines, marking twenty years in the wine business. 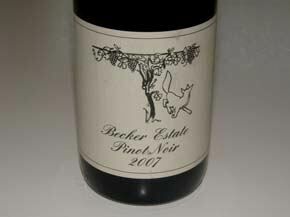 He produces Pinot Noirs from his own vineyards that are vinified by noted winemaker, Mark Aubert. Aubert attributes much of his success to Valdez, who is his vineyard manager and viticultural partner. 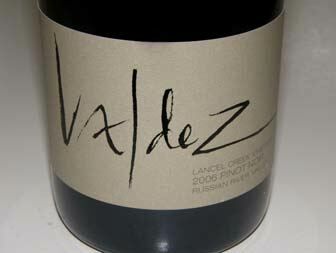 Valdez’s website is www.valdezfamilywinery.com. The wines (including a Sauvignon Blanc and Zinfandel) are sold primarily through a mailing list. Not long ago, I ran into Ulises in the Russian River Valley and he proudly showed me his property overlooking the river where he is building a hospitality center and tasting room, winery, and eventually a home. 15.2% alc., 250 cases, $65. · Dark reddish-purple color. 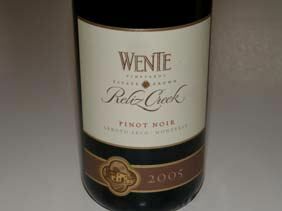 A well-endowed Pinot featuring dark berries, plum and mocha flavors. Very smoothly textured with soft tannins. Nicely balanced with enough acidity to partner beautifully with food. This wine is proof that Pinot Noir with over 15% alcohol can be in balance. 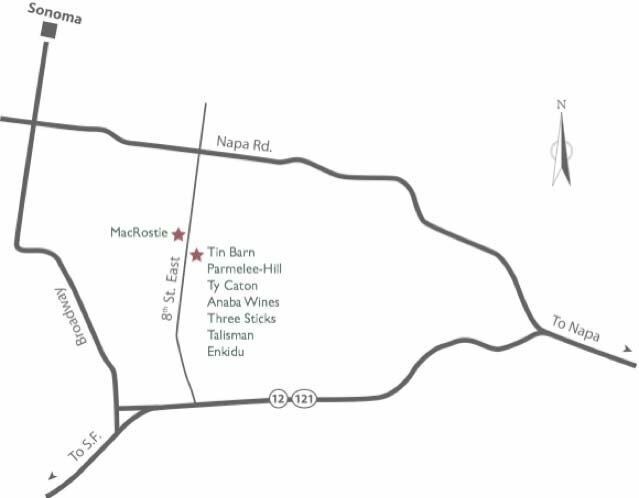 Besides the Mexican-American-owned wineries mentioned above, there are over 15 others including Alex Sotelo Cellars, Carneros della Notte, Cesar Toxqui Cellars, El Centauro del Norte, Frias Family Vineyard, Guerrero Fernandez, Gustavo Thrace, J. Lohr Vineyards & Wines, Karl Lawrence Cellars, Sequoia Grove Vineyard and Two Wives. Arturo and daughter Ana Keller are Mexicans (as opposed to Mexican-Americans) who own Keller Estate in Petaluma, a fine producer of Pinot Noir. 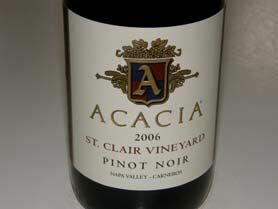 Acacia Vineyard Pinot Noirs are one of the standard-bearers of Carneros. I tasted these wines initially over a year ago and I found them austere with brisk acidity. During the last year they have taken on more weight of fruit, acidity has become less prominent, and the wines have become very enjoyable. 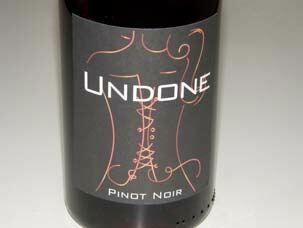 All the wines are true to Pinot Noir and bring out the delicacy and feminine charm of the grape. The lesson here is that many California Pinot Noirs need a year or so after bottling to achieve integration and show true colors. 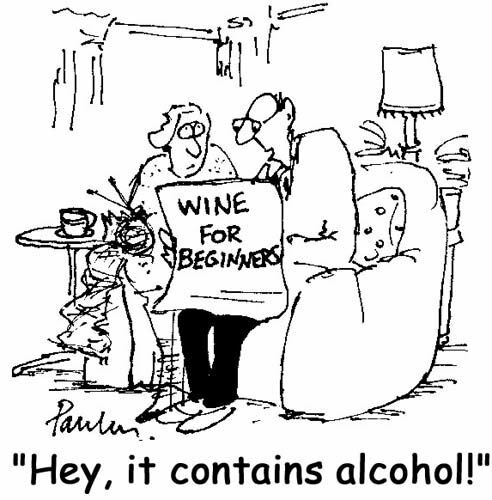 We are all eager for instant gratification but we need to show restraint and not judge a wine too soon. 14.4% alc., $28. · Dark reddish-violet color. Cherries, cinnamon spice, oak and herbs are featured on the nose. Flavors of dried cherries, cranberries with faint oak in the background. Light and elegant with a brisk lift of acidity on the finish. A reliable daily drinker. 14.6% alc., $55. · Takes its time to open in the glass revealing black cherries, berries and herbs. Ripe, but not over ripe, berry fruit with decent intensity and a touch of savory herbs. Soft with restrained tannins. Sneaky good. 14.5% alc., $55. · Scents of black cherries, pine tree and tar. Rich, dark and imposing cherry-driven flavors with some hints of herbs, vanillin and oak char. Very soft and smooth in the mouth with a good spark of acidity. 13.8% alc., $95. · Wondrous aromas of berry patch, bright strawberries, violets and cedar. Very expressive flavors of cherries, berries, pomegranate with a persistent tang on the clean finish. A vibrant wine that is hi-strung. 14.8% alc., $65. · Subdued, but pleasant aromas of candied Bing cherries and raspberries. Light and demure with soft berry fruit touched by cola and spice. A very pleasant drink which is a little warm from the alcohol. 13.8% alc., $45. · The nose is fruit-shy, displaying smoke, oak, ash and mocha Java. Dark fruit forms the backbone, but flavors of ash and dark chocolate take the limelight. For chocolate lovers only. 14.2% alc., 504 cases, $38. Harvest Brix 24.6º. 7-9-day cold soak, 16-day fermentation in open top tanks with wild yeast. Manual punch downs. Aged 12 months in neutral barrels. Unfined and unfiltered. Sourced from an unnamed vineyard near the Napa/Sonoma County line. · Profusion of plums, currants, oak and spice on the nose. Very tasty dark fruits that show impressive purity. A perfectly balanced wine that captures the essence of the fruit with a finish that lingers for at least 20 seconds. Crafted by a sommelier, it is not surprising that this is a superb food wine. Very impressive and one of the best wines and most reasonably priced Pinot Noirs I have had from Carneros in recent memory. 14.6% alc., <275 cases, $42. · Aromas of root beer, raisin and sassafras. The flavors follow in step. A very ripe fruited wine that is well-crafted and is both soft and smooth in the mouth. Lovers of Tootsie roll will be attracted to this wine. 14.1% alc., $26. This vineyard was planted by the Molnar family in 1973. It is located at the confluence of the Napa River and Carneros Creek. Michael Terrien is the partner and winemaker for the label. The wine is unique in that it is aged in 100% Budapesti Kadar Tokaj oak. · The nose displays aromas of ripe grapes, raisin and oak. The flavors carry over the ripe fruit theme with raisins and root beer evident. There is plenty of tannin but the rich fruit hides it. 14.8% alc., $60. · Scents of berries, oak char and barnyard. Pretty core of berry fruit with an oak sidecar. Some charm and persistence on the finish which leaves a touch of heat in its wake. I get the feeling that this wine will become more expressive with another year or two in the bottle. Good but not great at this point. 14.9% alc., $34. · Initially the aromatic profile include cherries, leather glove and seasoned oak. With time, herb garden takes over. Flavors of ripe berries, root beer and some citrus peel in the background. The tannins have melted away and there is good persistence on the finish which is a touch hot. Sometimes you just want a no-brainer drink to relax with outside in the patio on a warm day. The wines below all take to a little chilling making them refreshing to drink. They are not wines to contemplate so you don’t have to take any notes. Priced right, they will please your neighbors and relatives and will make a perfect companion for barbecued hamburgers or grilled fish and vegetables. These wines are readily available. Believe it or not, people really get paid to make wine. I know you thought they did it for free. Who wouldn’t? Ask any winemaker what he does, and he proudly exclaims he is “hands off” in the winery (nonintervention is the current fashionable term for this approach to winemaking that takes a degree in viticulture and enology to understand). They tell you, “I stay out of the way and let the grapes make the wine.” Winemaking must be the best job in the world. Winemakers only “work” two months out of the year during harvest. Of course, they hire skilled laborers to pick the grapes, recruit volunteers to sort the grapes, and hire cellar rats to do all the cleaning and dirty work. They don’t need a wardrobe of clothes, opting for grungy denims and stained vests with sweat-soaked baseball hats that are the de rigueur dress. Heck, bathing is even optional. As rock music plays in the background they walk around the winery, ordering cellar hands to do punch downs and selecting lab tests which a hired enologist performs. Mainly they just smile and nod their heads. If a problem arises, there is always the cellar rats to blame. Once the wines are barreled-down, winter arrives and the vines become dormant. No reason to spend any time in either the vineyards or winery. So its time to go on the road, hosting wine dinners where the food is extravagantly prepared and they never have to pick up the bill. The consumers who attend these dinners don’t want to offend the winemaker, so they eat and drink joyously, and the winemaker smiles and nods his head, reaping the benefits of generous praise. Occasionally, winemakers are stuck hosting a group of consumers or winery wine club members. Winemakers go through the well-rehearsed winemaking song and dance that makes it sound like they are geniuses at what they can do with grapes. Of course, the winemaker knows the consumer will be overcome with cellar palate, and the wines will all taste exceptional. Everyone is intimidated and the winemaker gratefully accepts the compliments that gush from the inebriated guests. Everyone goes home happy with bottles in tow as the winemaker bids them goodbye with a smile and a nod. Critics show up occasionally too, but winemakers are well-versed in dealing with them. Armed with the knowledge of which barrels are the best in the cellar, the winemaker will lead the unknowing critic on a merry tasting through the top wines the winery has to offer. This also is a time when the winemaker can show off his technical jargon and knowhow and impress the judge in front of him. Winemakers rehearse for years for this role. Of course, smiles and nods are an important part of this snow job. As the first buds of spring appear on the vines, family snow skiing vacations are well in the past, and winemakers begin to think of the health of the vineyards. Although winemakers claim that “wine is made in the vineyard,” they actually never do anything such as pruning, leaf pulling or drive a tractor in a vineyard. Winemakers are good at kicking dirt and spitting seeds, after which they smile and nod, offering encouragement to the field workers. The most adventurous winemakers will take on Pinot Noir. Pinot Noir is the only grape that is wise to the winemaker’s shtick and likes to mess with their head. Pinot Noir loves to play mind games with winemakers, offering different flavors that vary from day to day, sulking at times, teasingly strutting remarkable sensuality at other times, but always forcing the winemaker to sweat a bit. Every little thing that is done in the winery can affect the delicate aromas and flavors of Pinot Noir so winemakers have learned to do nothing. When they are faced with a critical decision, they simply go home and sleep on it and let nature take its course. Winemakers happily boast of their decisions to do nothing. With Pinot Noir, winemakers often don’t add yeasts, don’t pump, don’t add coloring agents or acid, don’t fine and don’t filter. If they don’t do much, what exactly do they get paid for? Winemakers are trained masters at smiling and nodding.